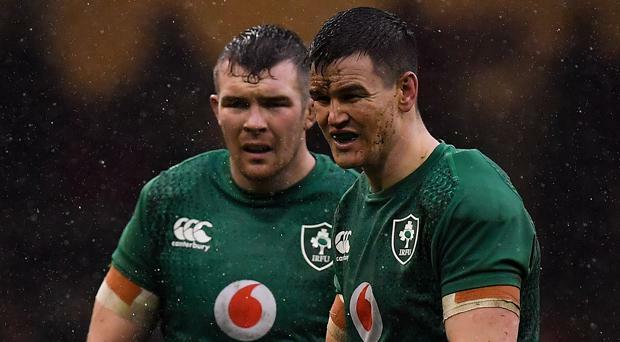 Just as it took many reasons for the 2018 Grand Slam to go right; it took many for Ireland’s 2019 Six Nations to fall flat on its face. A lack of energy is a tell-tale sign of not having that healthy dose of fear that drives focus and, ultimately, performance. While England had gone through November undefeated, they looked nowhere near the standard to seriously undermine the Ireland that bowled over the All Blacks. That all changed in round one and the low energy levels that were there from the first whistle could not be summoned, even after the half-time refuge and readjustments. Conor Murray and Jonathan Sexton have been the difference-makers in Joe Schmidt’s Ireland. Almost everything goes through them. When one is struggling for form, it is a problem. When both of them are short of their best, it is utterly debilitating. The lasting memories from the Principality Stadium were the multiple unforced mistakes Sexton made, the second-half ranking as his worst-ever in green. Murray protested how his form had not dipped all that much in the lead-up to Cardiff. You become 2018 World Player of the Year and get recognised as the best scrum-half in the game because you are playing to your potential. Neither man came close to that. The mission for every Six Nations is simply to go out and win it. Of course, Schmidt works well in tight windows where his intensity, focus and detail are legendary. The prospect of the Rugby World Cup meant a last chance to complete his depth chart. This doesn’t stretch to three-deep, but five-deep in positions as bodies are bound to fall by the wayside. The second row is a prime example where the sixth-choice lock Quinn Roux played in four rounds, started in and called the lineout in two. The use of 36 players in the Championship was five more than Schmidt will be allowed to take to Japan. What has been forgotten in the review about Ireland being easy to predict is that they have been playing the same way for six championships. England discovered a formula and everyone else rowed in behind them. It revolves around cutting off their kick-chase and a kicking game that makes Ireland work their possession game from further back in the field. Schmidt will either change his formula or insist on doing what they do - just better. The tendency for Schmidt to look to his ball carriers and half-backs for most of what they need is that Ireland does not have the natural, fluid passing game and genuine speed to carve up or cut through defences. The low number of offloads is reflective of how few Irishmen have the confidence, or are given the licence, to make those deliveries on time, evidenced by Garry Ringrose’s giveaway in his first threatening moment. The lack of speed is a genetic hand-down in a nation not known for producing that freakish kind of athlete. A prime example of that is the way Jacob Stockdale was caught from behind by Wales Hadleigh Parkes, a centre not revered for his speed.